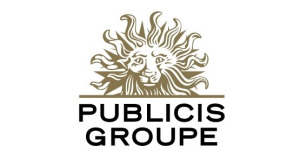 Global research company RECMA has revealed the results of the New Biz Balance Report, ranking Publicis Media as the number one global media agency. Publicis Media is represented by human experience agency Starcom, ROI agency Zenith and performance media brand Performics. The group’s disruptive approach also saw them win and retain significant South African accounts such as Avon, Parmalat, Lactalis, Finscore, Lenovo, Luxottica and Gumtree. RECMA is a leading global research company and one of the few that evaluates media agencies worldwide. According to RECMA, it delivers a qualitative evaluation of media agencies based on 18 criteria in 45 countries. RECMA says that these criteria are not financial but marketing specific, reflecting agencies’ capabilities. The organisation assesses agencies based on four sets of criteria. “We’re honoured to be ranked as the number one media agency globally. Competition is tough out there and our clients need us to help them keep up in an increasingly agile landscape,” says Peter Monaise, CEO of Publicis Media Africa. “Our integrated approach and thorough understanding of their businesses allow us to achieve the results we do every day. We would like to thank our clients for their support and for giving us the opportunity to be their communication partner of choice,” adds Monaise.